Asparagus is not only delicious, it’s also packed with health benefits. It’s a very good source of fiber, folate, chromium, vitamins A, C, E and K. Sweet potato is yummy and also filled with fiber. 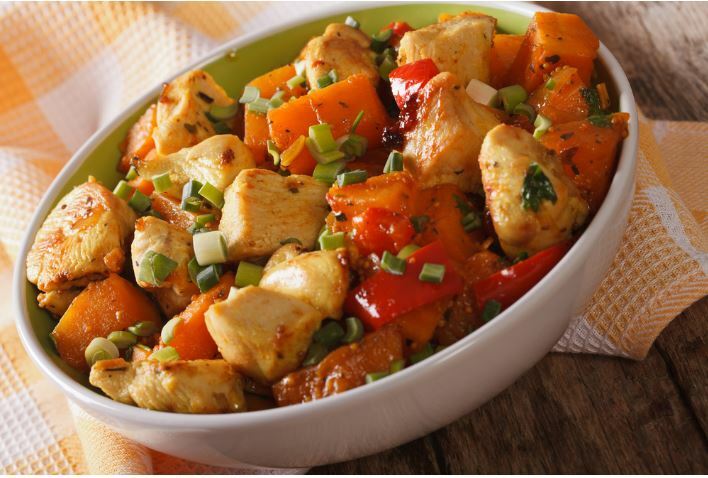 These together, mixed with chicken, make the perfect recipe for a delicious dinner. :) Enjoy. Cut the chicken into small pieces and season with salt and pepper. In a skillet over medium heat, add olive oil, garlic and chicken. Sauté the chicken for about 7-10 minutes or until it is cooked through. Don’t forget to stir well. Set chicken aside. Cook for about 7-10 minutes scott or until the sweet potato is cooked.